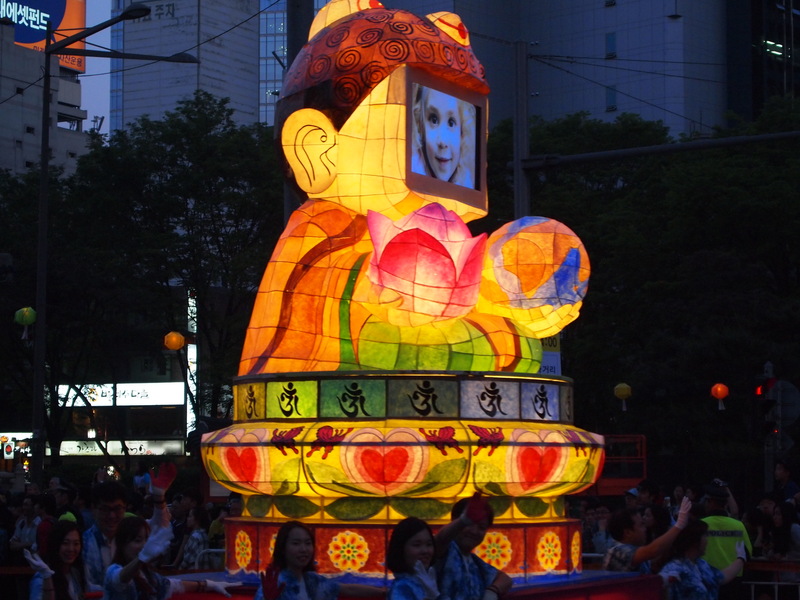 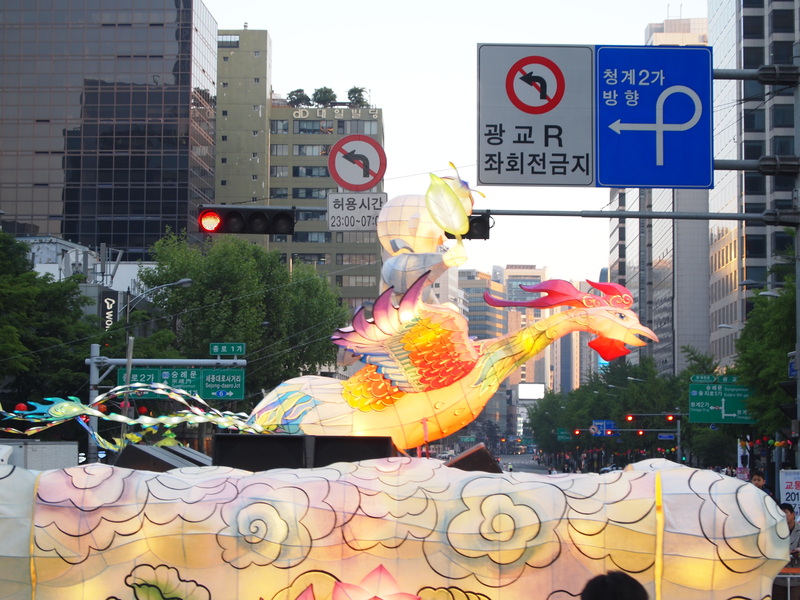 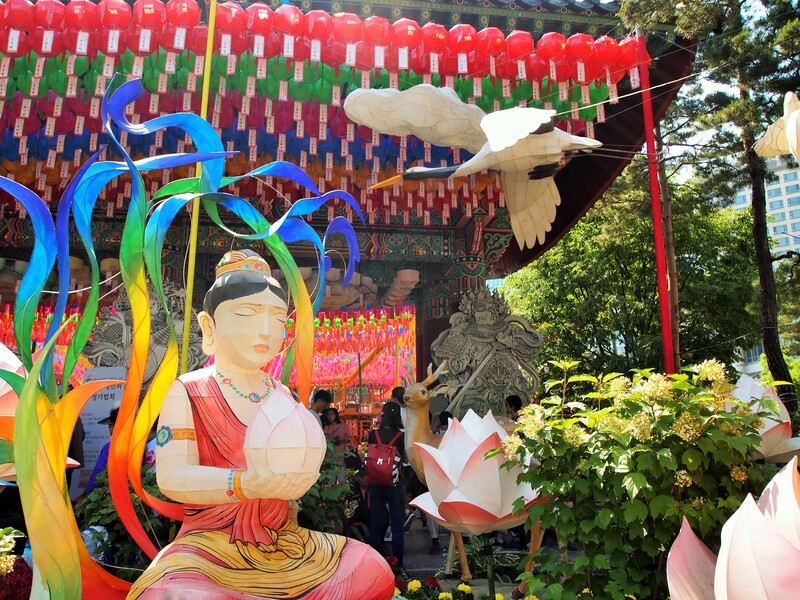 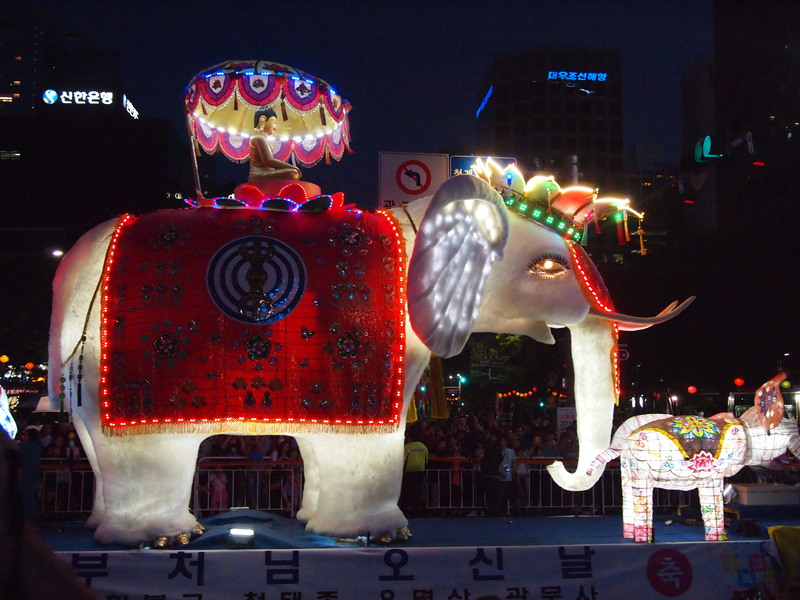 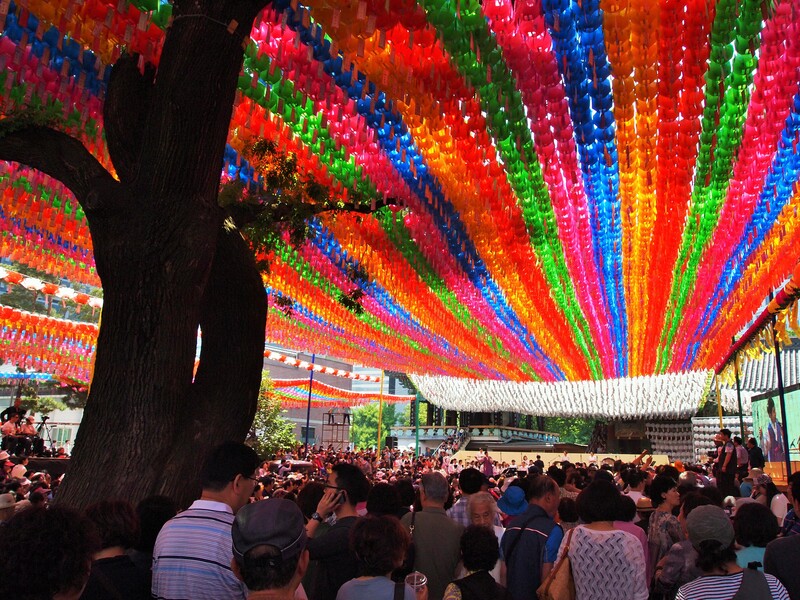 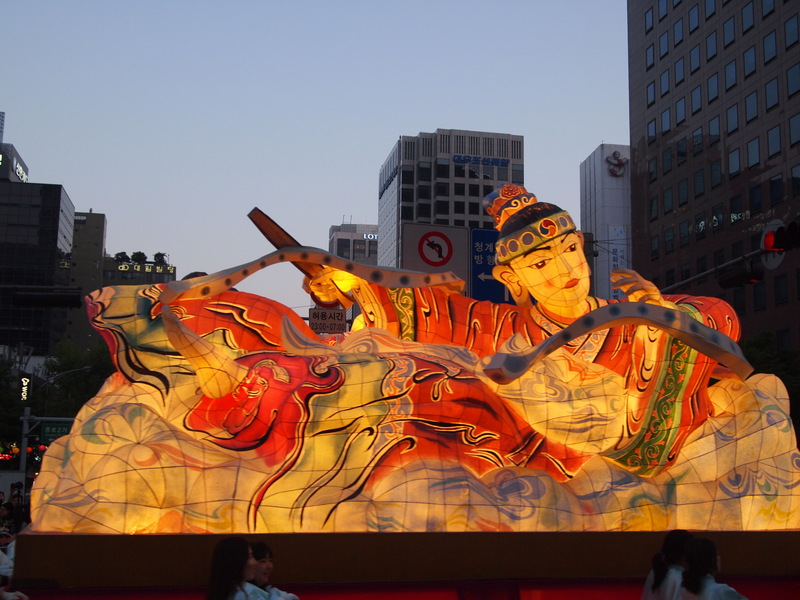 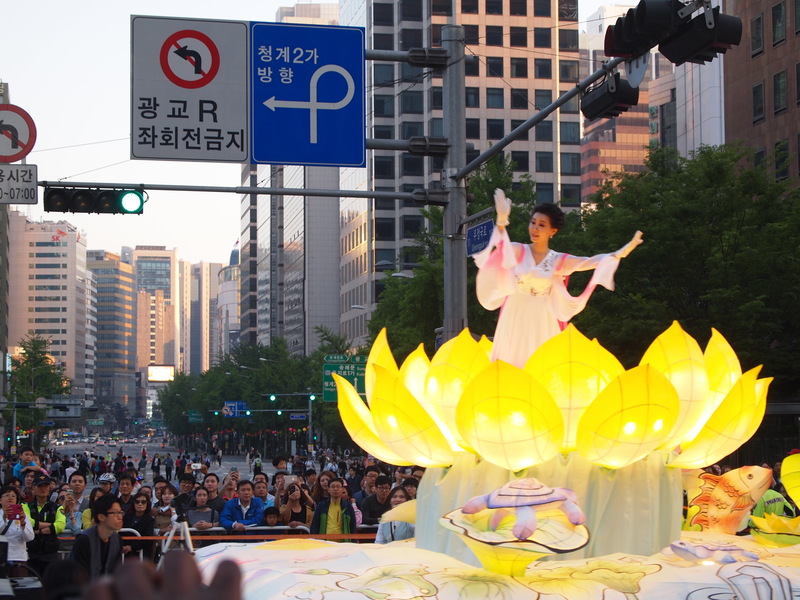 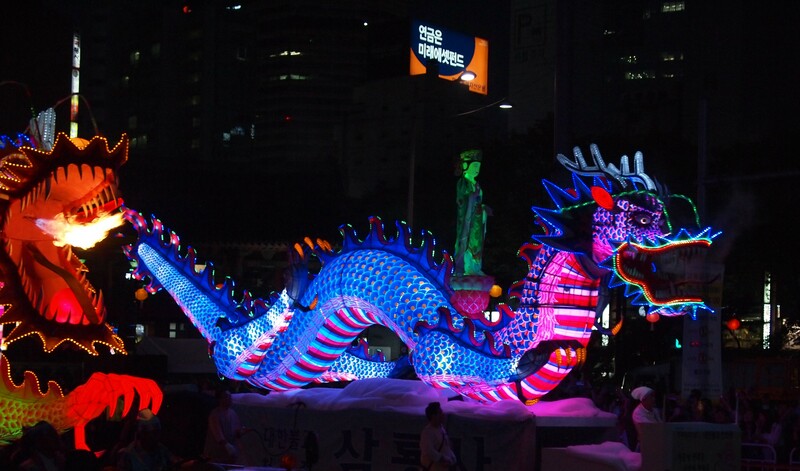 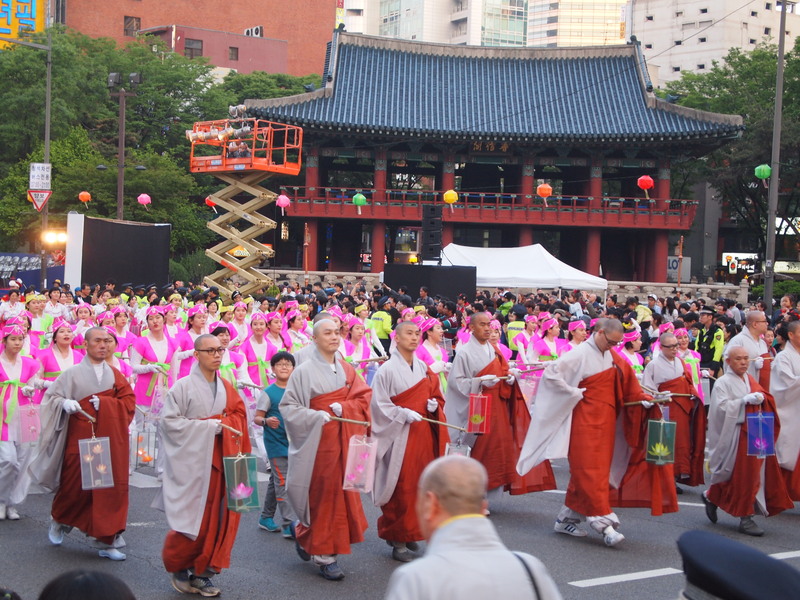 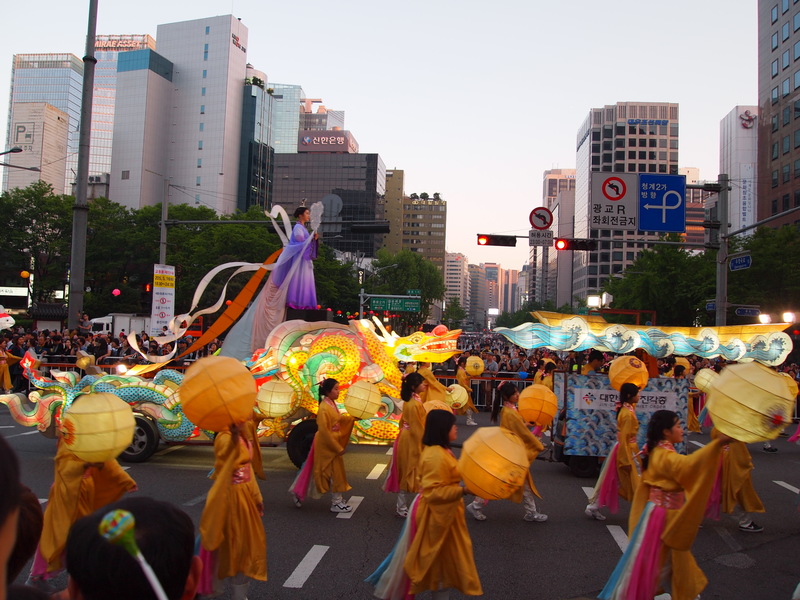 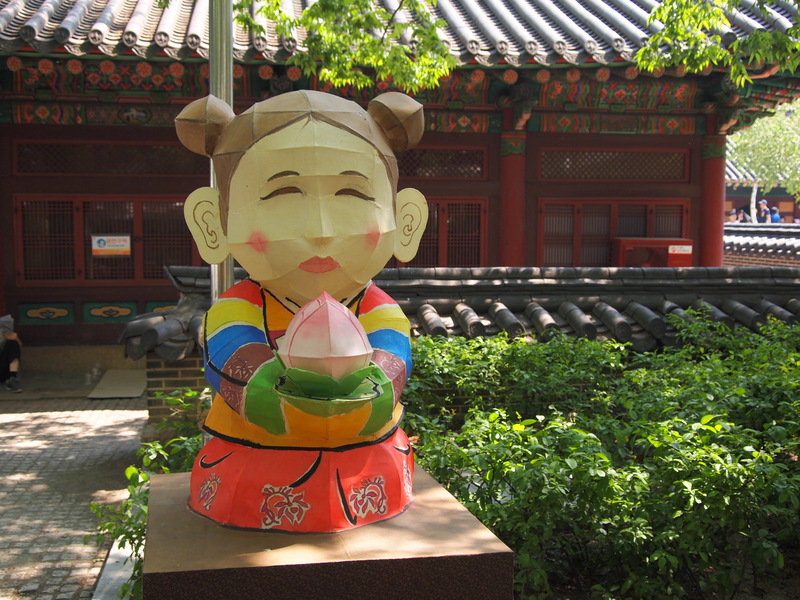 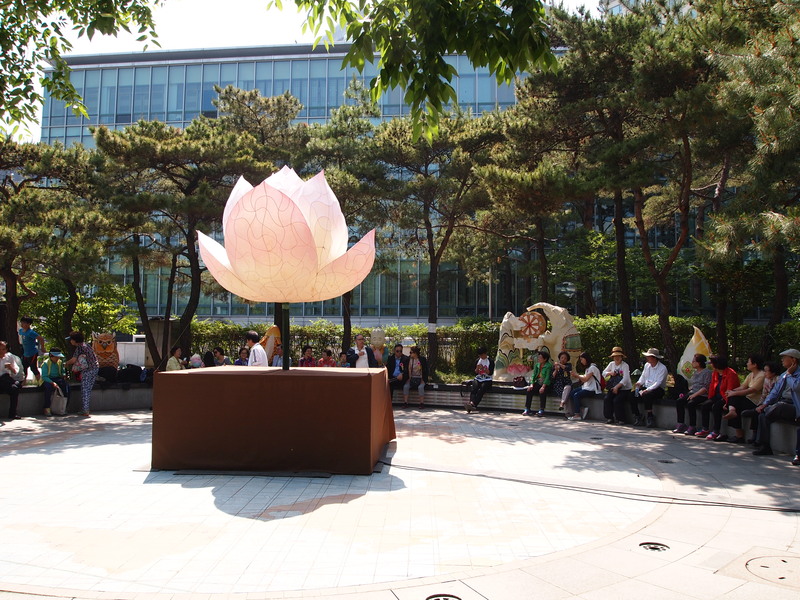 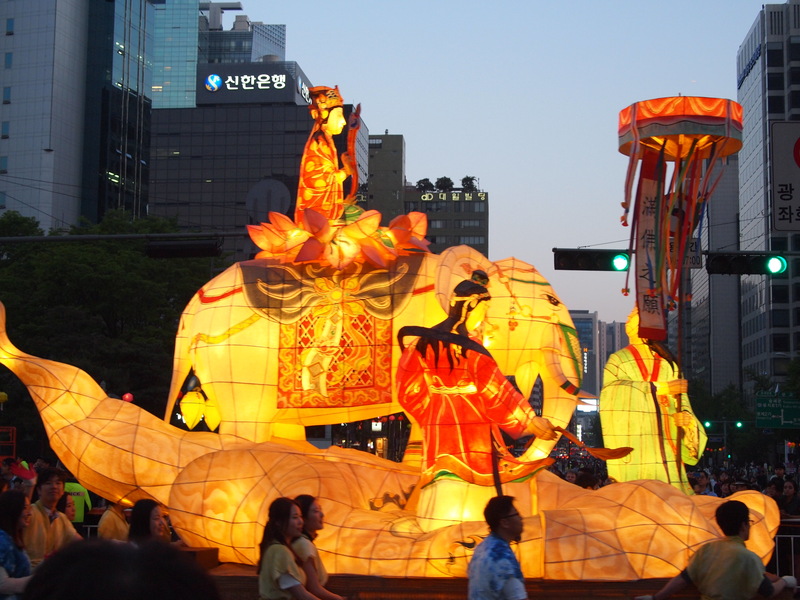 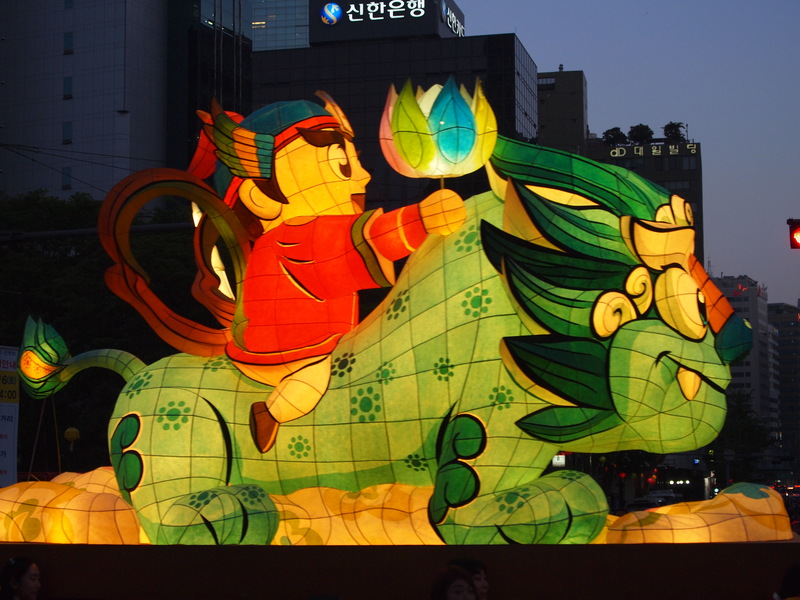 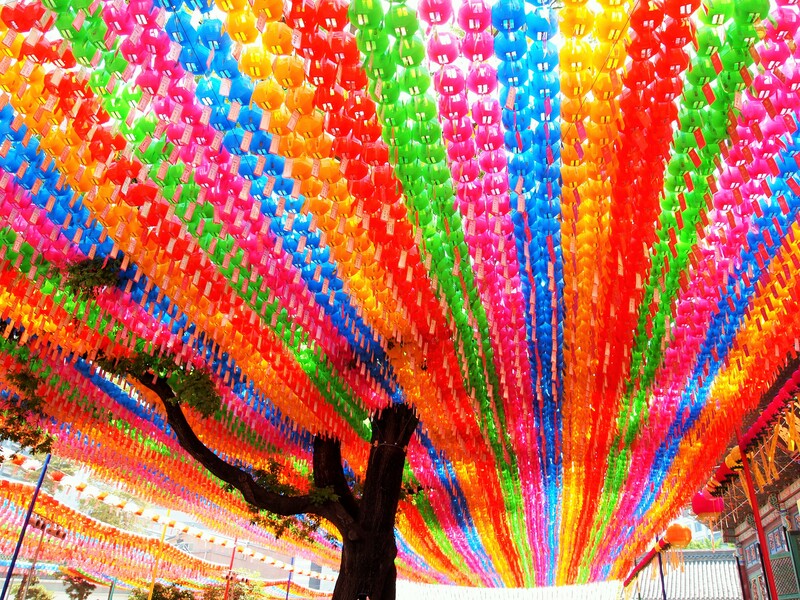 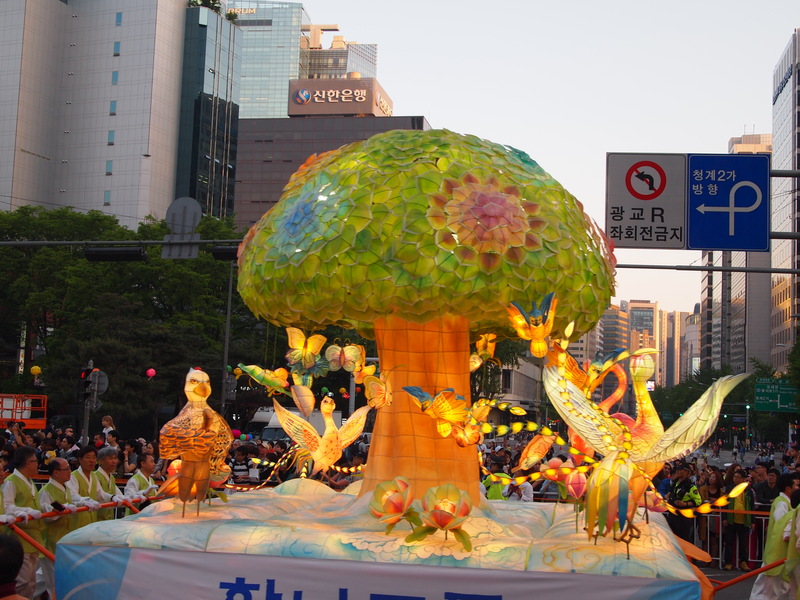 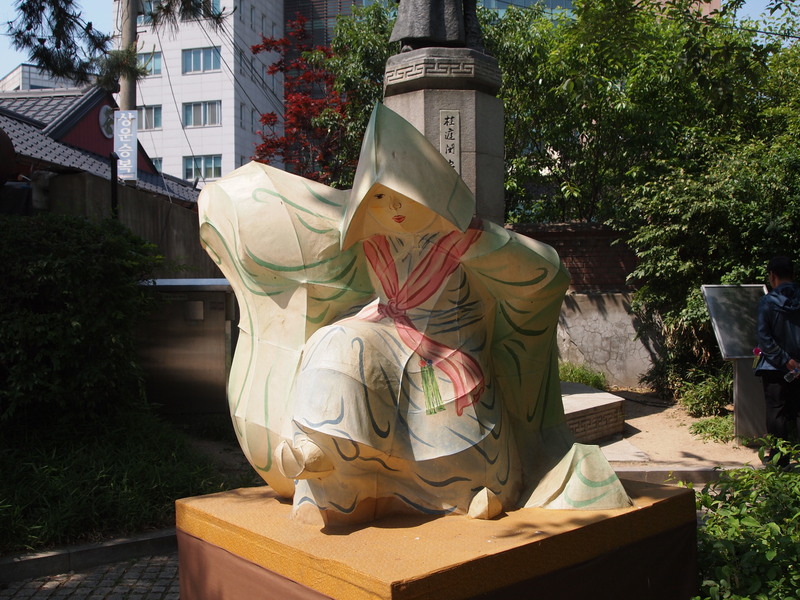 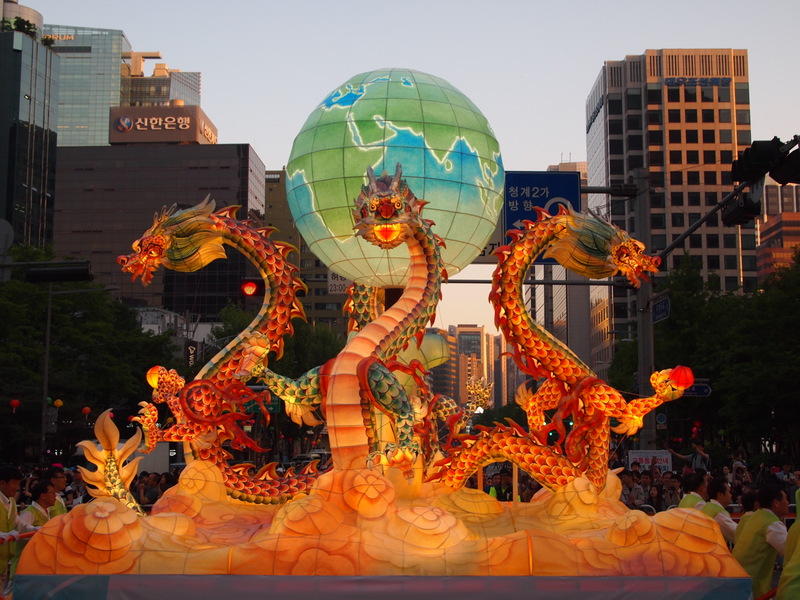 Every year, in celebration of Buddha’s Birthday, the Lotus Lantern Festival begins in Seoul. 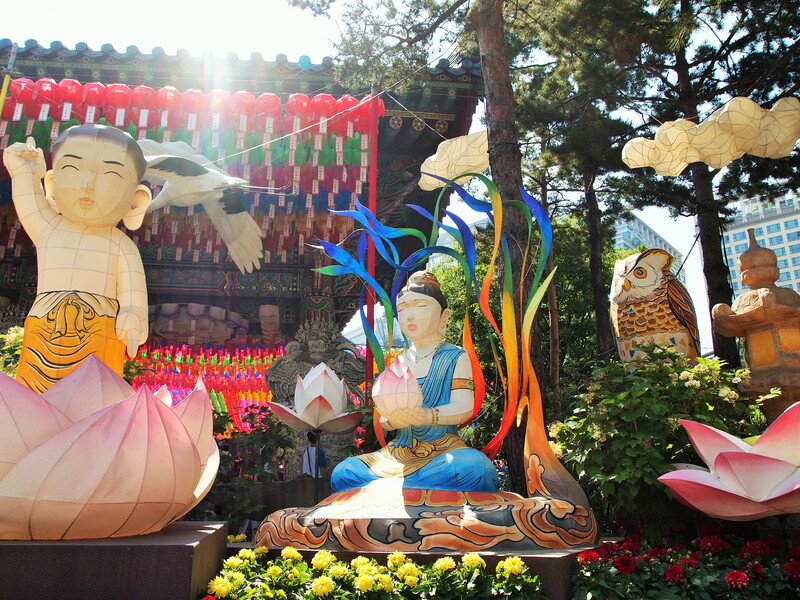 This year Buddha’s Birthday fell on May 25th and the festival began 10 days before on May 15th. 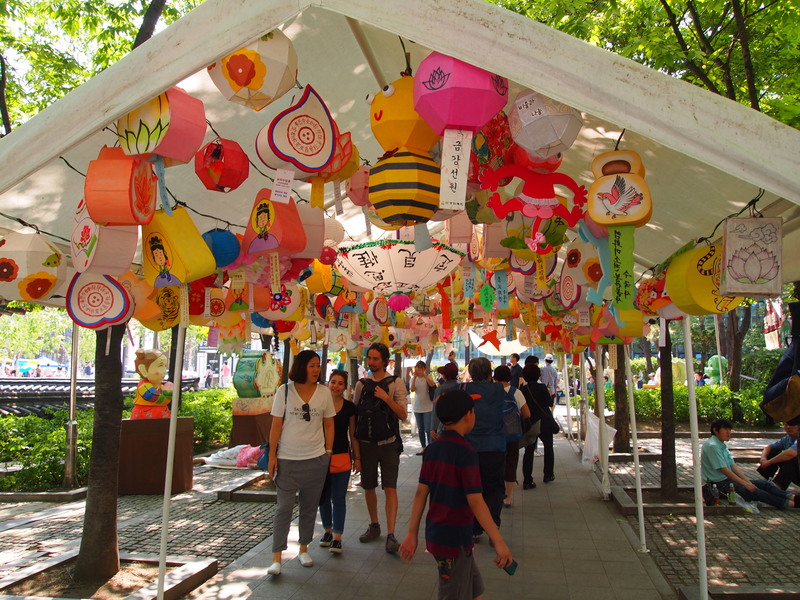 Lanterns were strung all around Seoul and even in our neighborhood at the end of April. 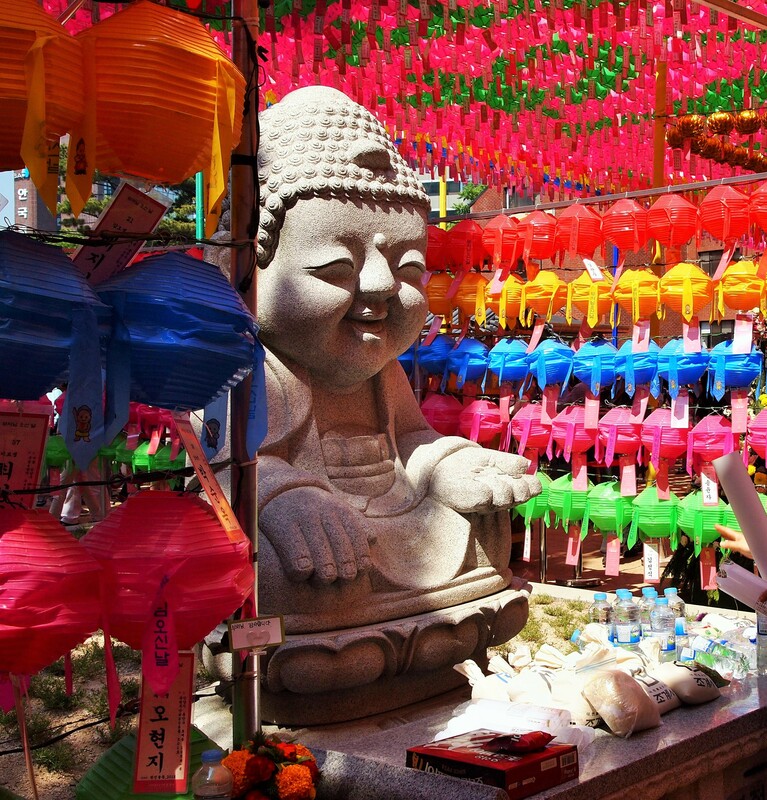 There are several opportunities to see lanterns on display at all of the Buddhist temples and there are lots of cultural activities you can participate in as well. 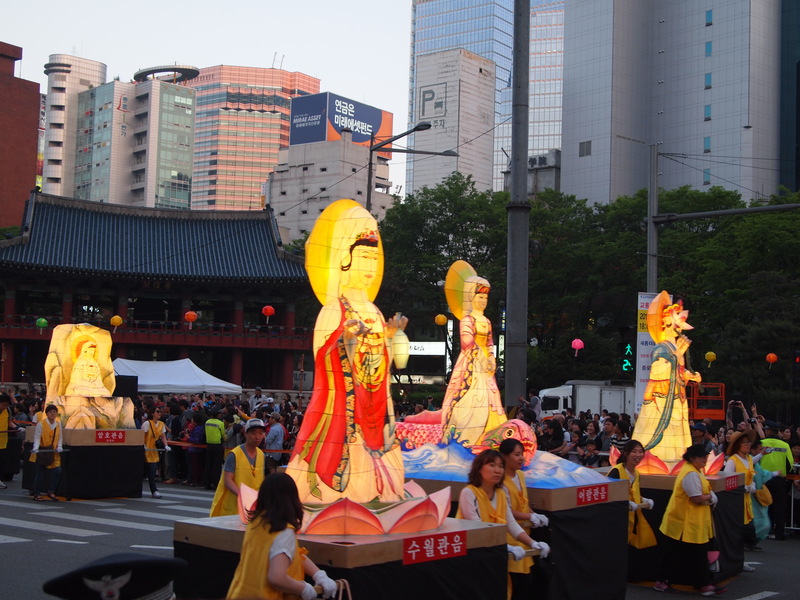 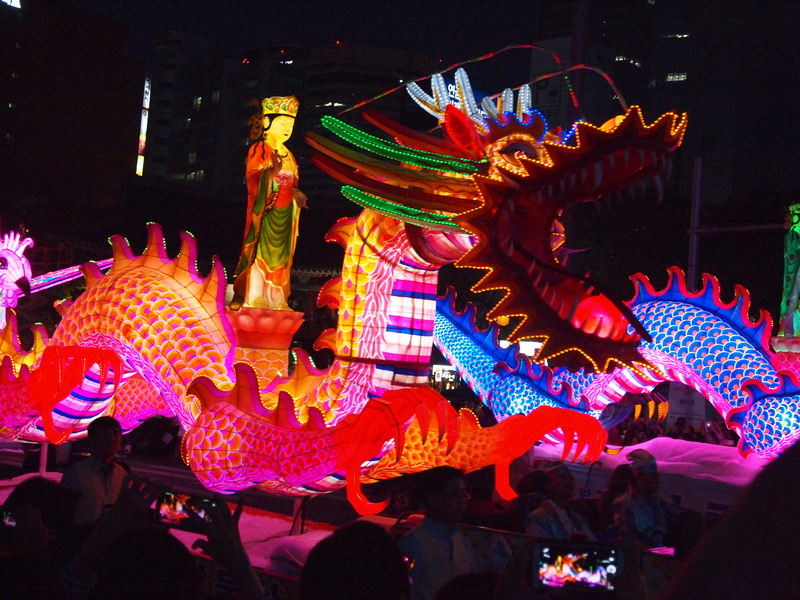 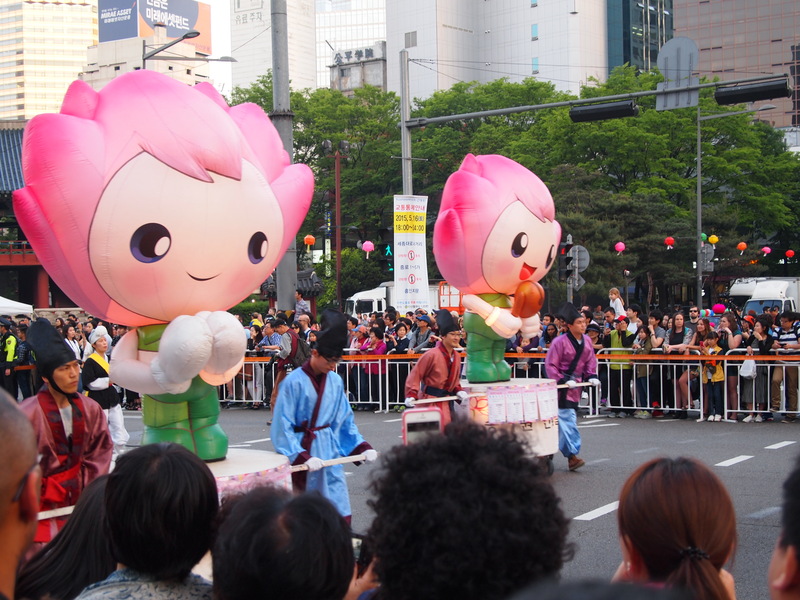 The biggest event during the festival is the Lotus Lantern Parade. 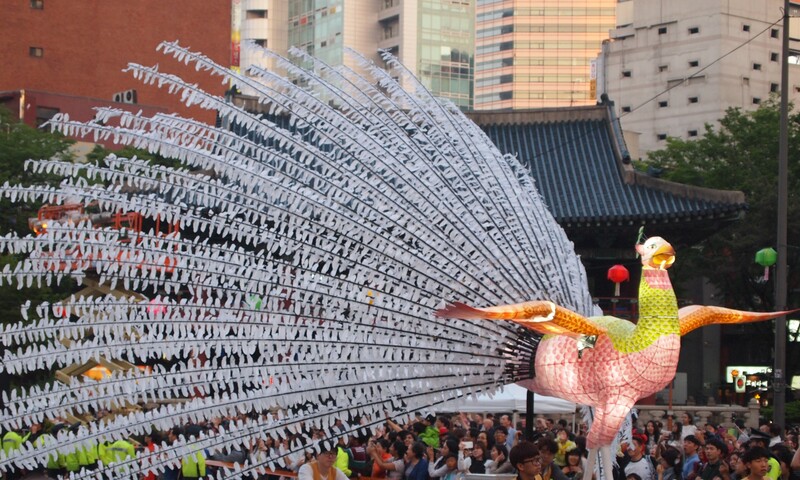 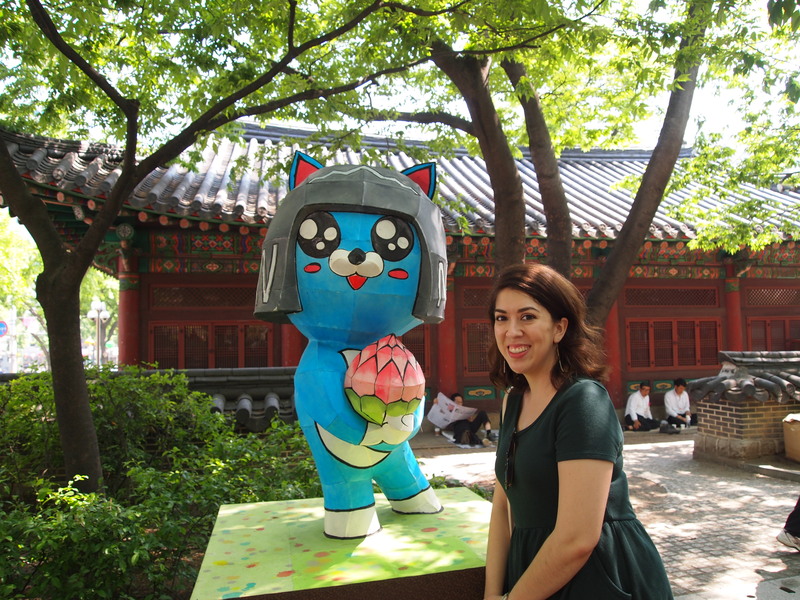 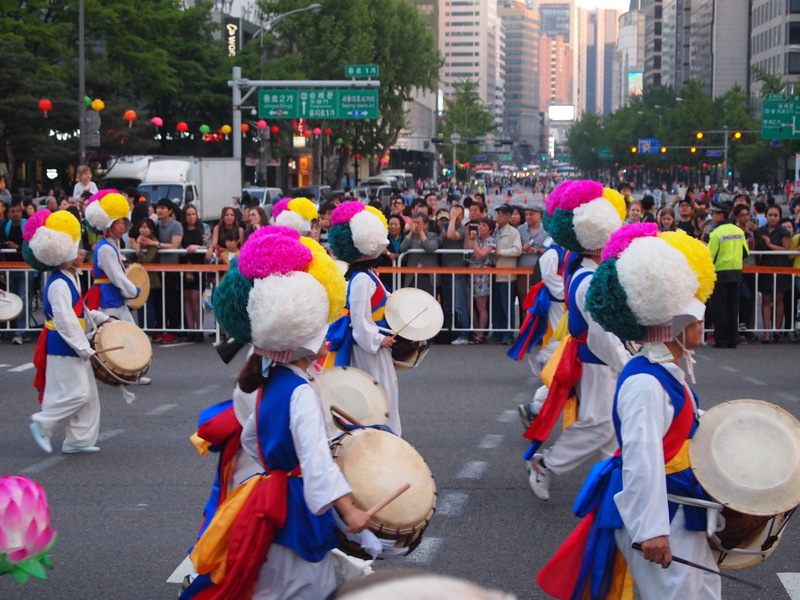 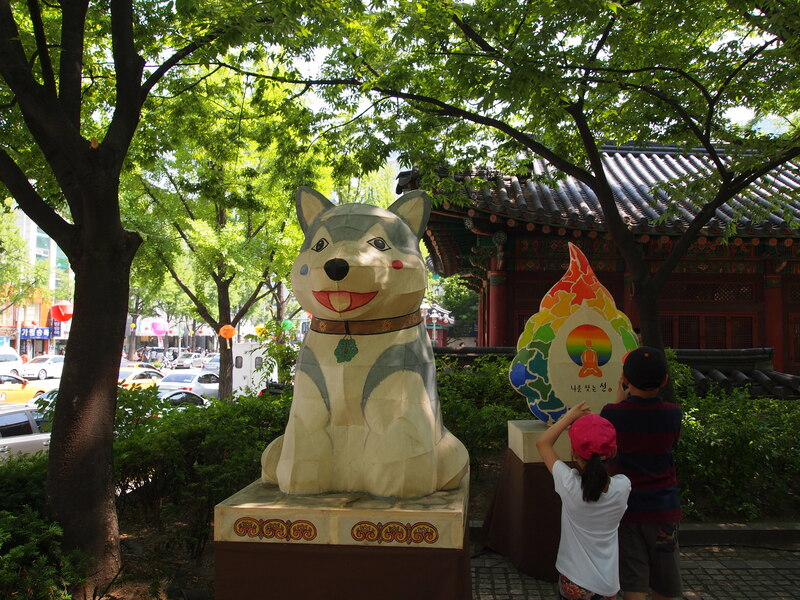 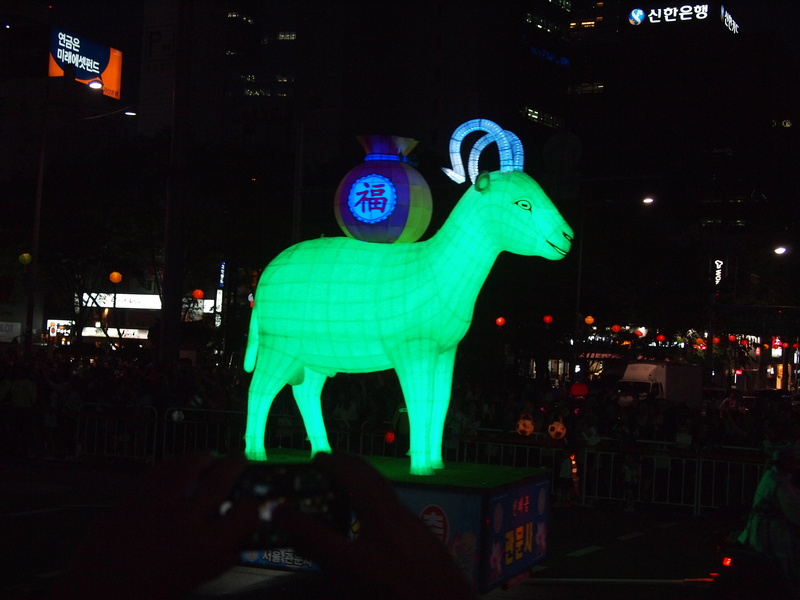 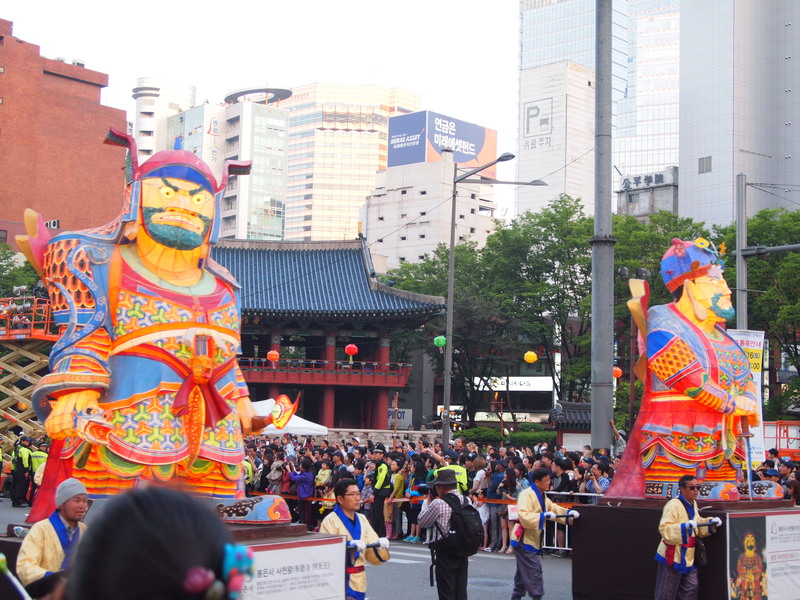 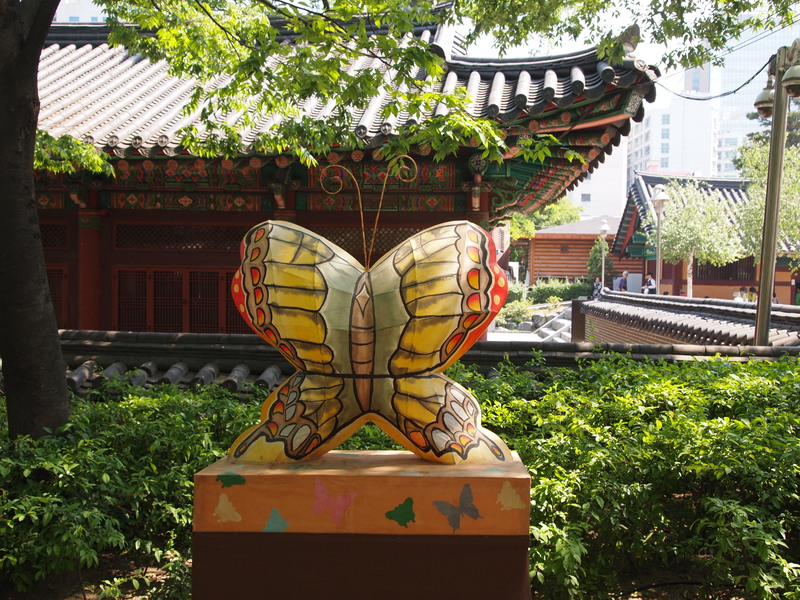 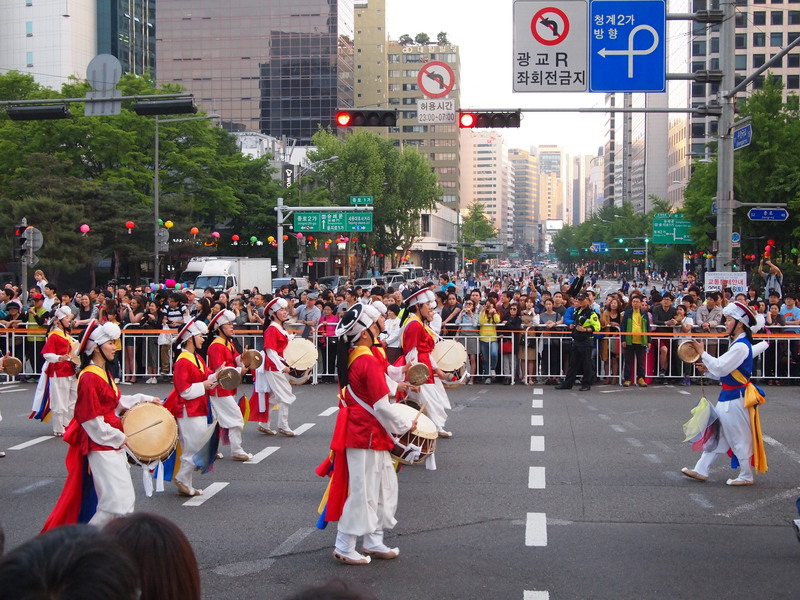 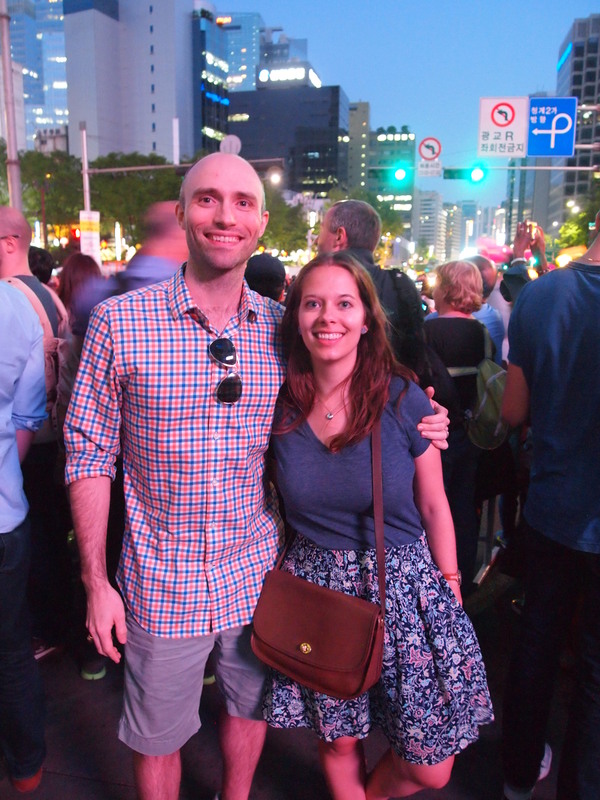 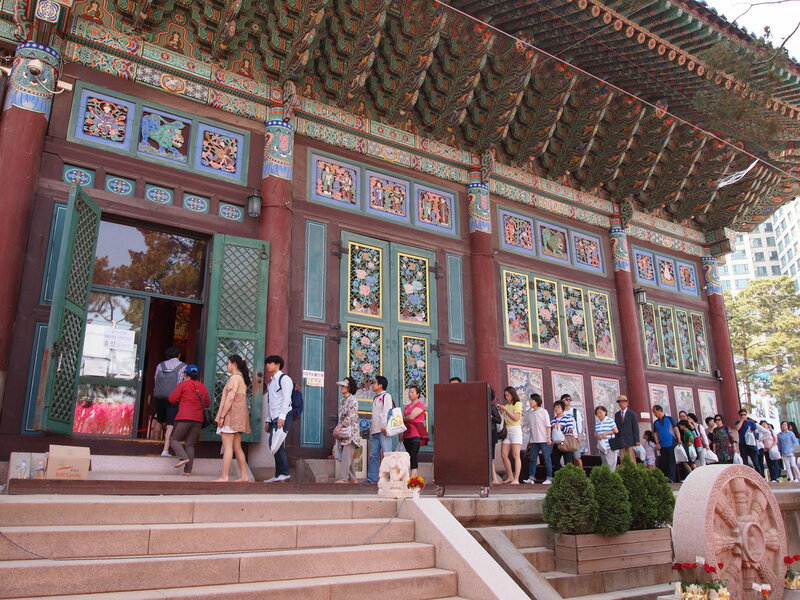 It’s held in downtown Seoul along Jongno-ro (St.) and attracts tons of visitors, foreign and Korean alike. 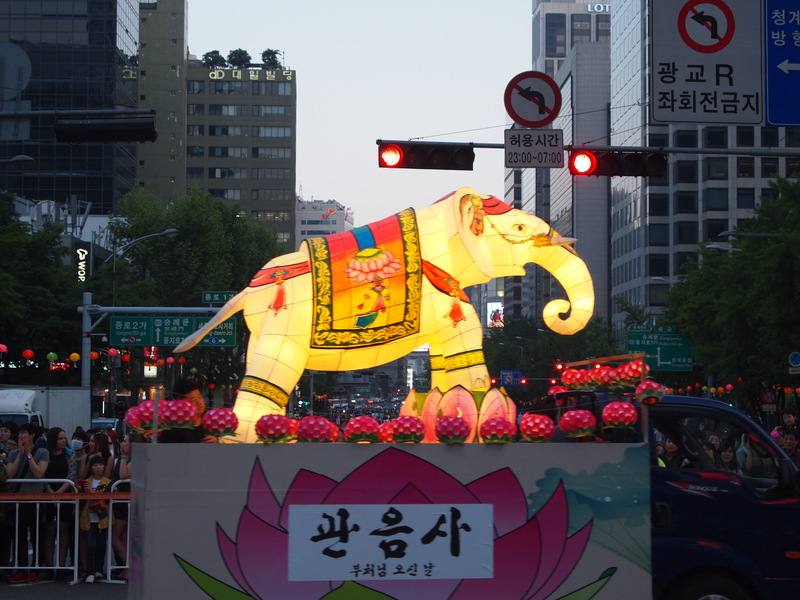 The Lotus Lantern Parade was amazing! 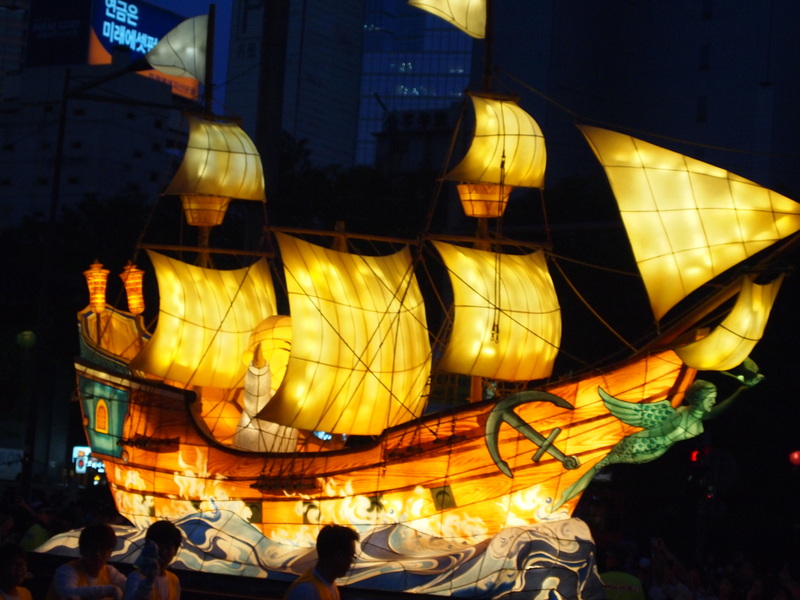 There were some really phenomenal lantern- floats and we ended up having a pretty good view. 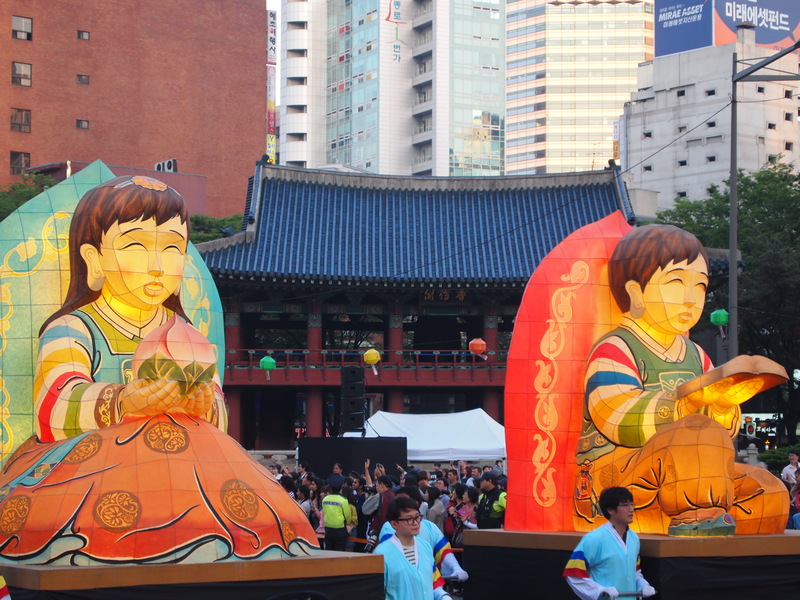 As the sun set, the lanterns’ beauty grew as we could finally see them fully lit up. 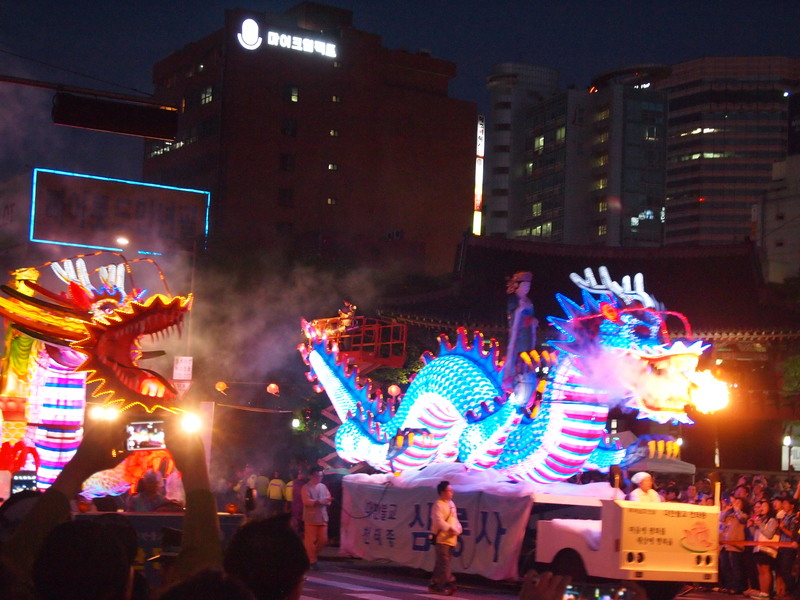 My favorites were the fire-breathing dragons! 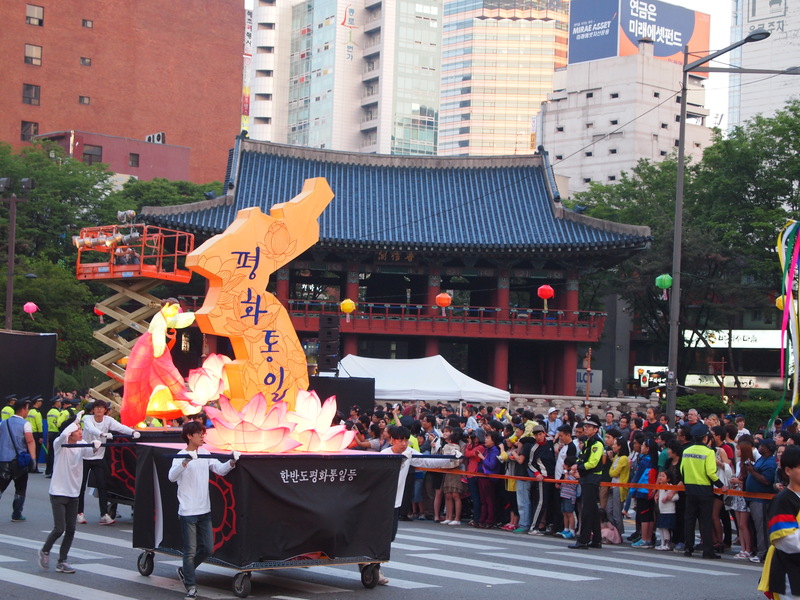 They spat out real flames! 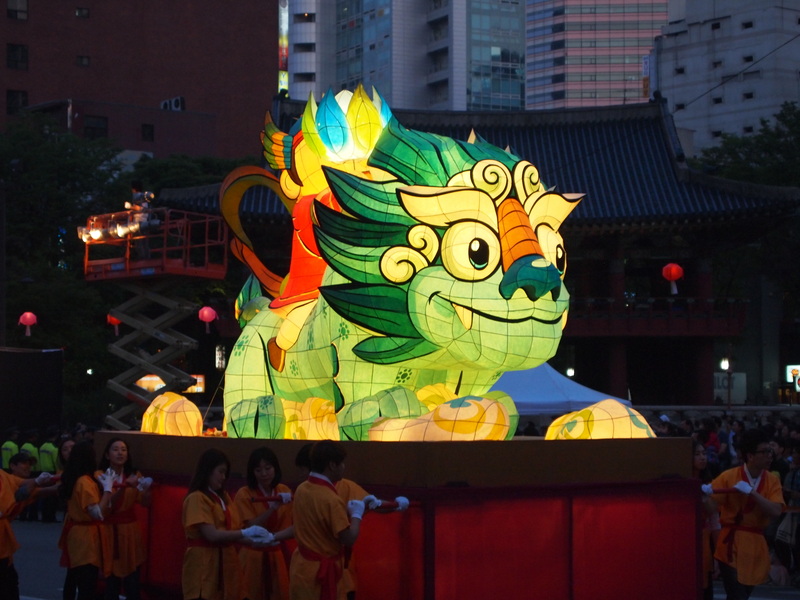 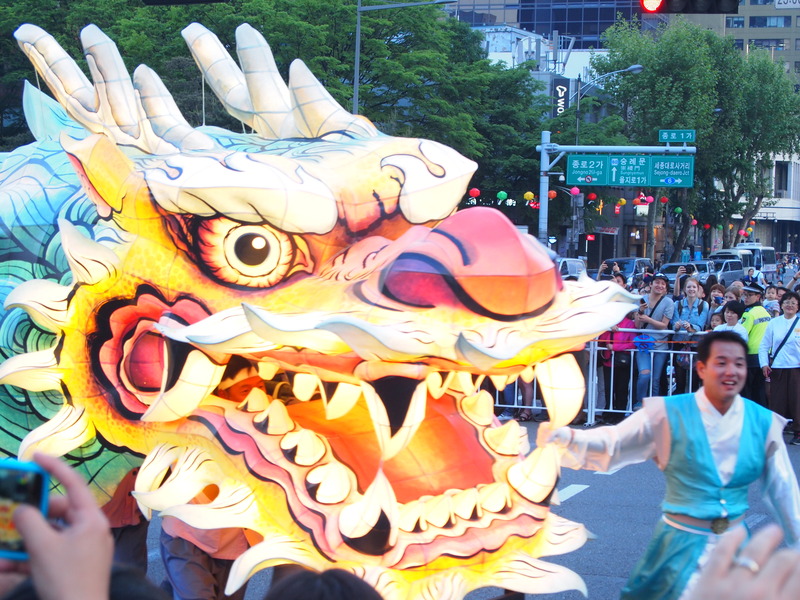 My favorite lanterns – the fire-breathing dragons! 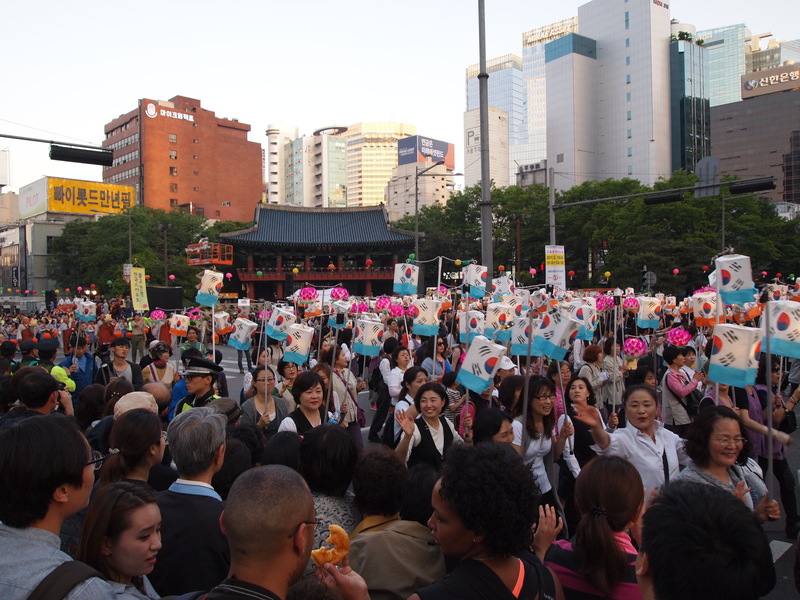 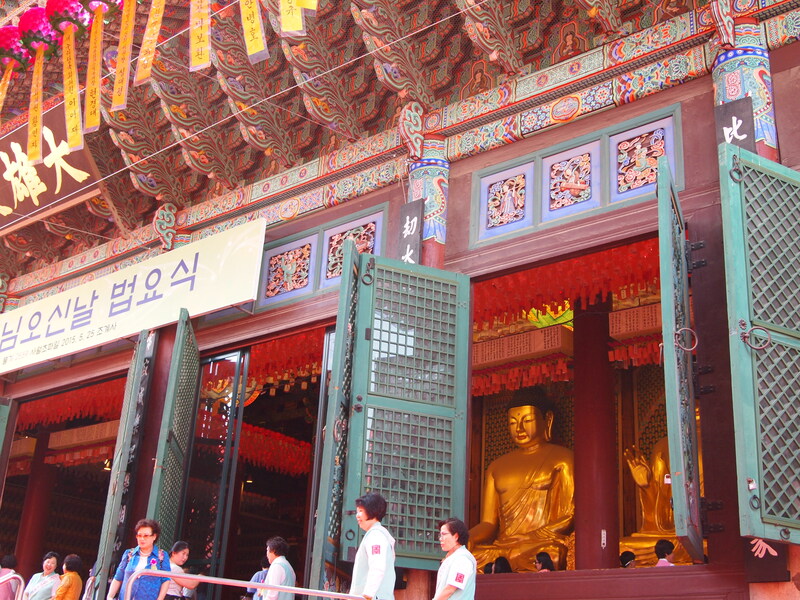 The parade was held the weekend before Buddha’s Birthday so we decided to go to Jogyesa (temple) on the actual holiday. 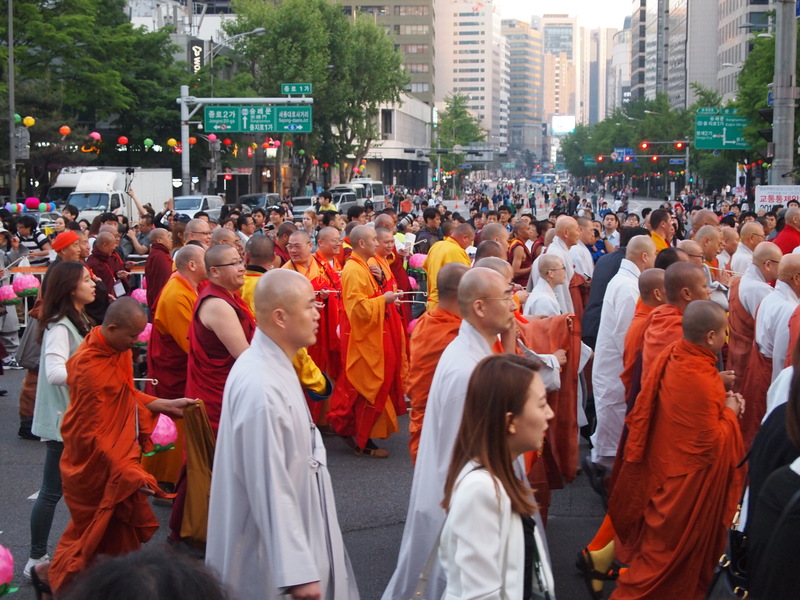 It was the most crowded Buddhist temple I’ve seen yet – and we’ve seen a fair amount now. 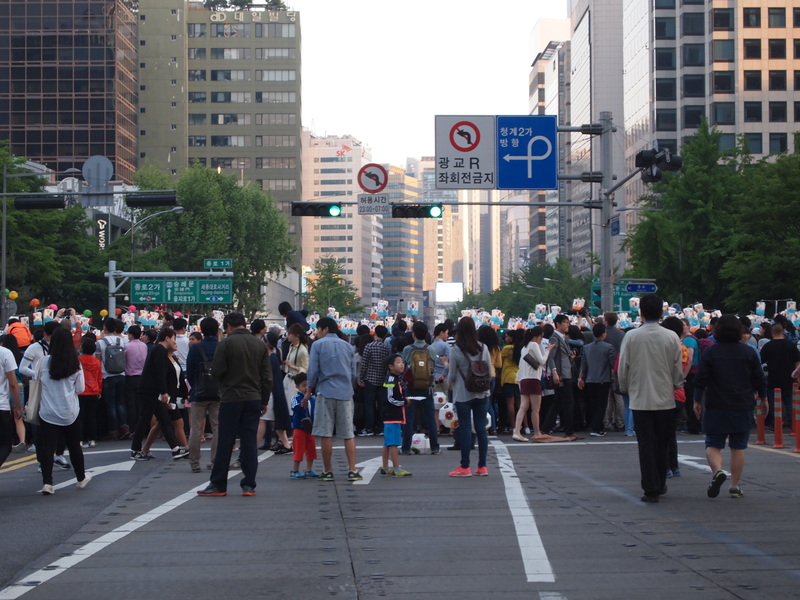 I suppose it’s a bit like going to church on Christmas Day. 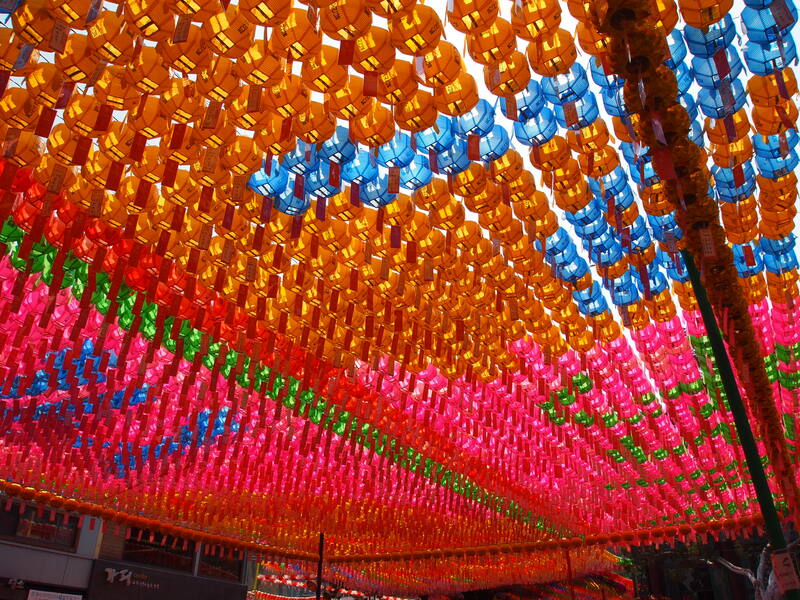 There were hundreds of lanterns strung up so that we were shaded by vibrant pinks, blues, greens, yellows, and reds. 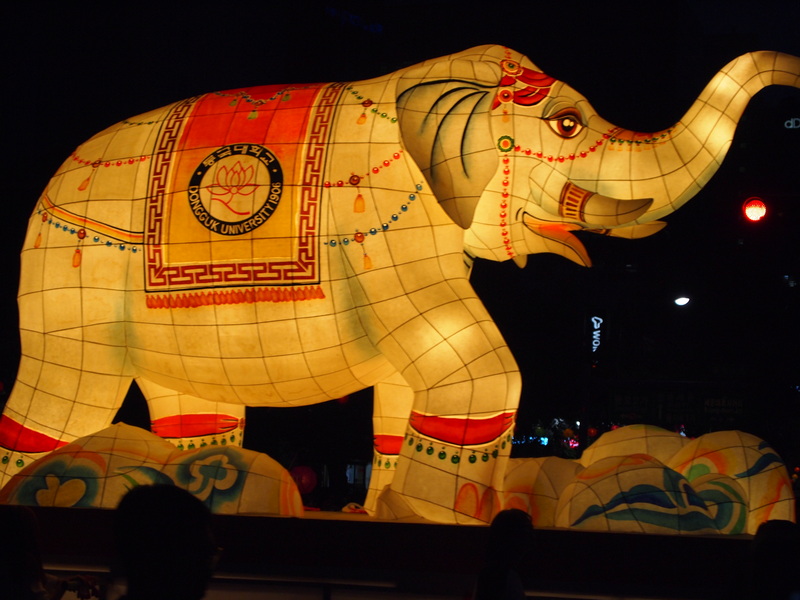 There were also several lantern creations adorning the entrances to the temple. 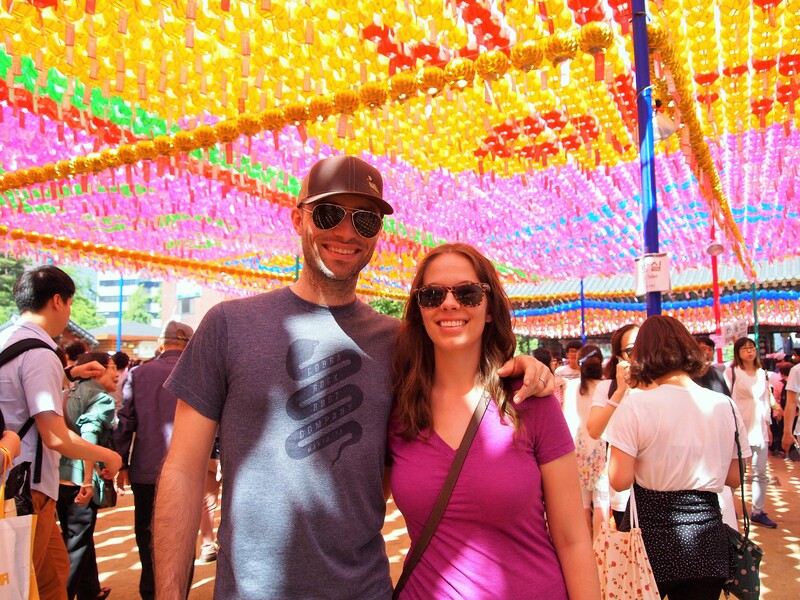 We took our friends, Sarah and Walter, who were visiting us from Texas, and although it would have been nice to have had more access to the temple buildings, there was an energy that isn’t always present.